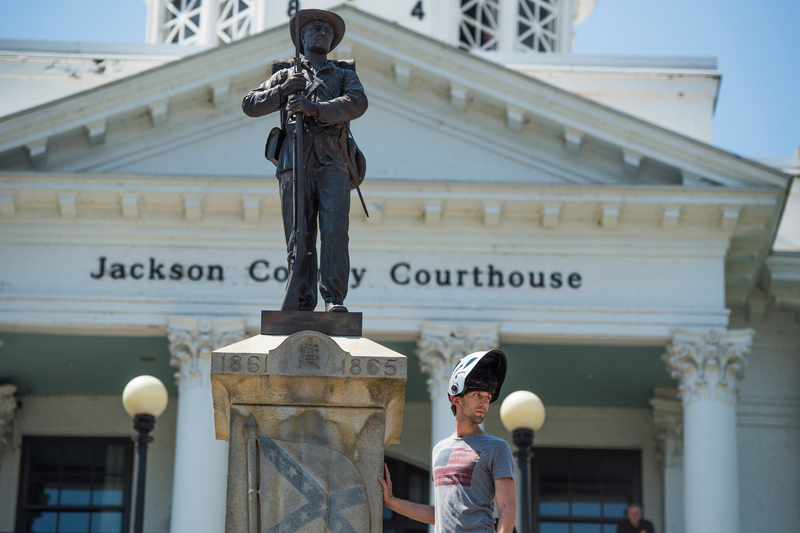 Roll Call’s photographers caught the eclipse and the event’s spectators in two different locations on Monday. 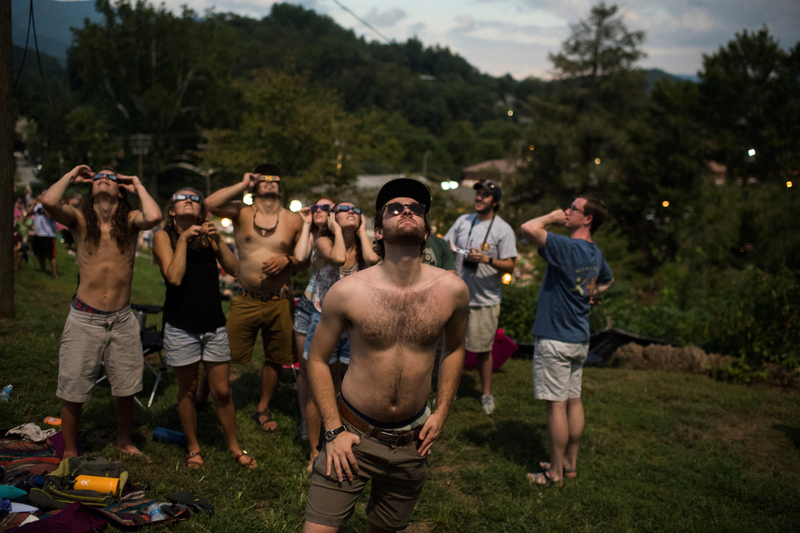 Tom Williams traveled to Sylva, N.C., in the path of totality. 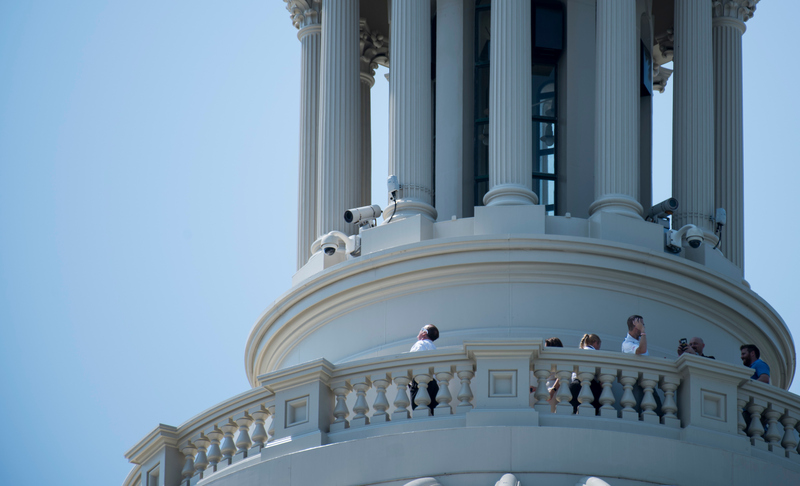 And Bill Clark stuck close to Roll Call’s home and captured moments as congressmen, reporters, congressional staffers and other Hill personnel ventured out on the Capitol steps and plaza to catch a glimpse of the historic event. 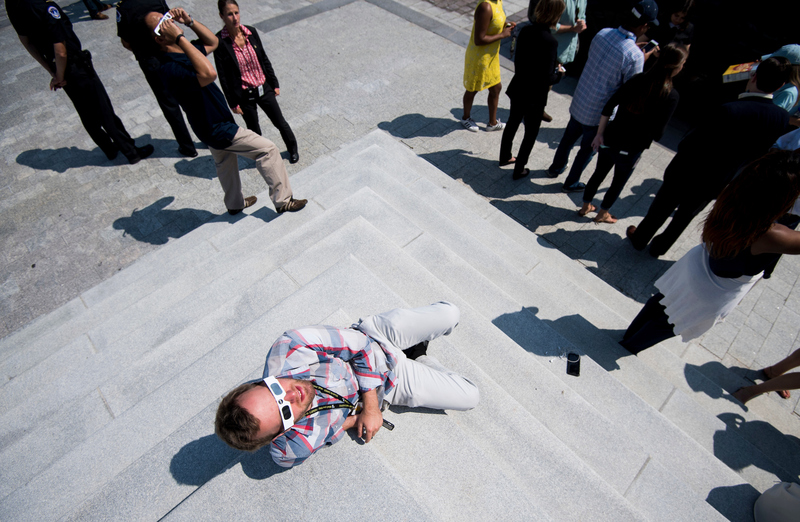 Although the nation’s capital only had a partial solar eclipse, the productivity in D.C. on Monday was at perhaps an all-time low. 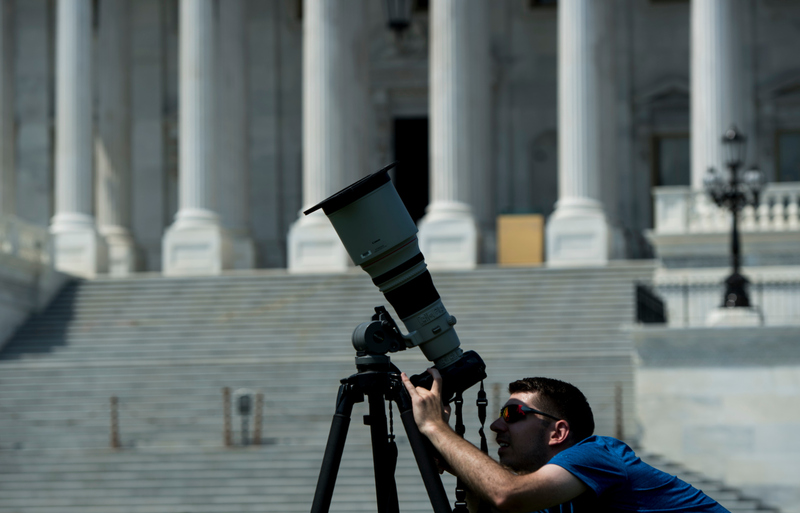 It was congressional recess, so while members of Congress won’t be back in town until September, staffers could be outside for hours on Monday afternoon. 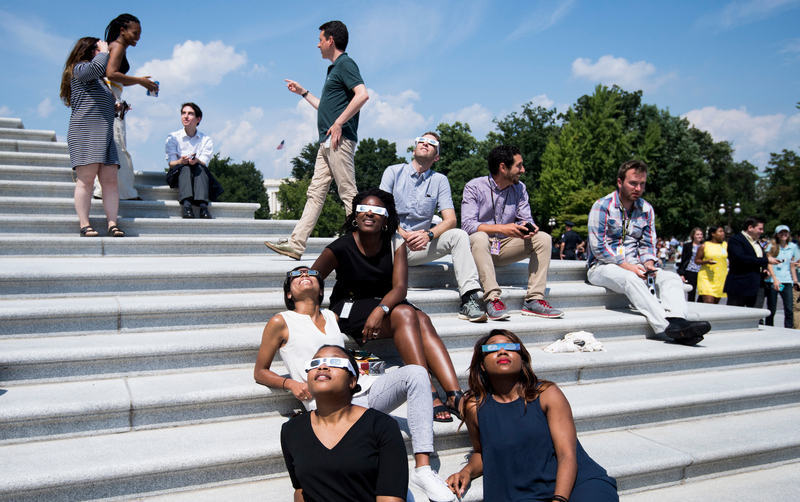 The Capitol lawn started filling up around 2 p.m., and at 2:42 p.m. peak time in Washington, hundreds of staffers and Capitol employees, as well as tourists, cheered and clapped at the sun. 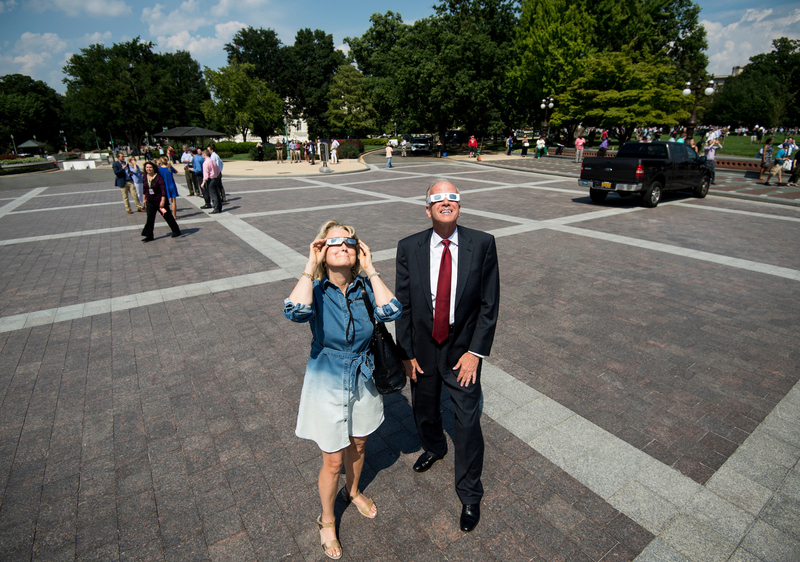 Right before peak time, Sen. Jerry Moran, R-Kansas, came out of the Capitol and put on his eclipse glasses. The senator was there to preside over the Senate at 7 a.m. Tuesday before heading home. He also said he was getting briefed on North Korea while in town. 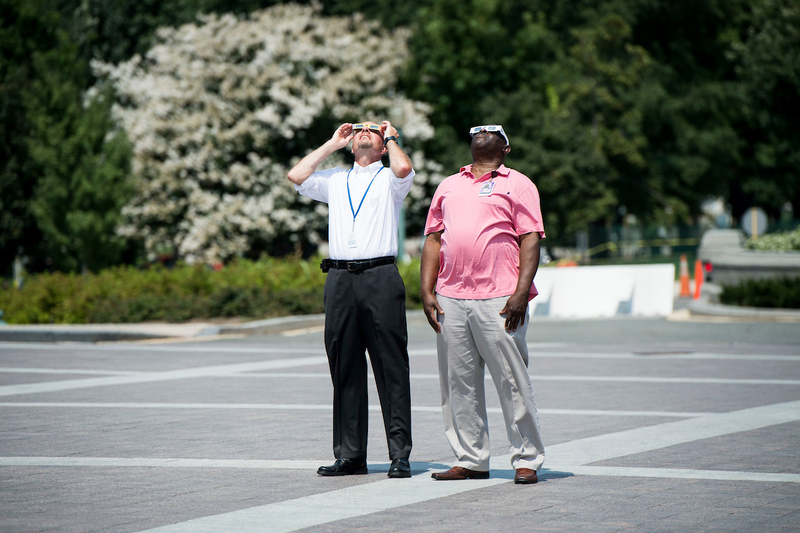 While most people had eclipse glasses like Moran, many staffers created other contraptions to safely look at the sun. One group of around five staffers who said they worked in the Russell Senate Office Building had poster board and cardboard boxes they constructed with peep holes. 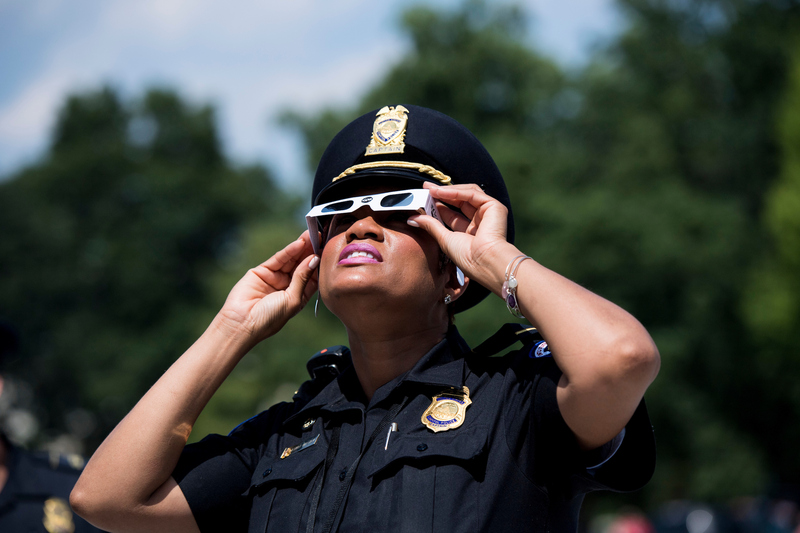 A group of a few female staffers made cereal boxes into viewing device. One male tourist had taped his eclipse glasses to a paper plate and used it as a mask to look at the sun. He lent it to members of the military standing outside the Capitol to try out. 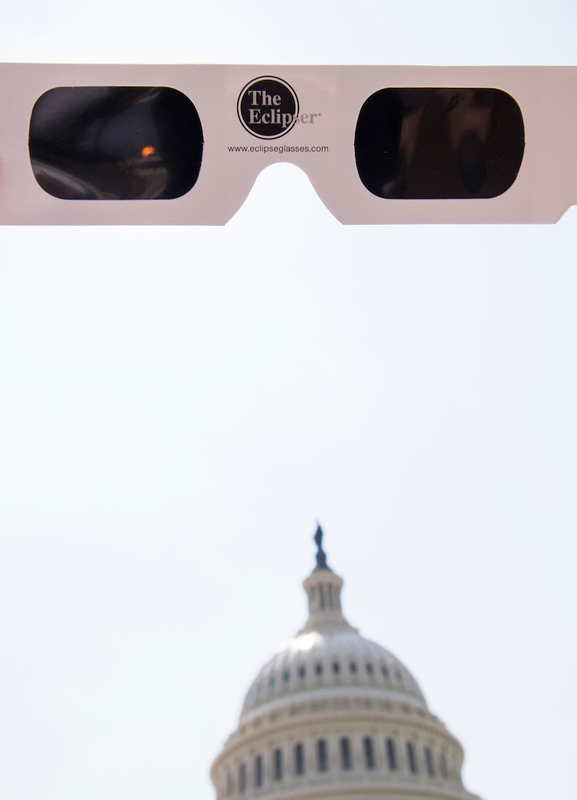 The atmosphere on the Capitol lawn was friendly, relaxed and communal. People were lending glasses to one another, asking around if anyone wanted to peek through theirs, and small-talking about the event. One photographer with a special eclipse lens cover offered tourists a turn at looking through his camera. 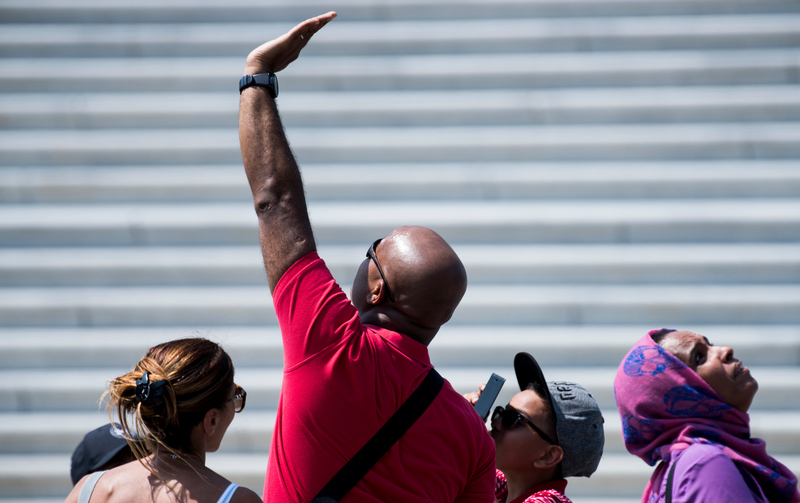 Before 3 p.m., though, the crowd completely cleared out and the staffers formed lines of hundreds to re-enter the Dirksen and Hart Senate Office Buildings to get back to work. 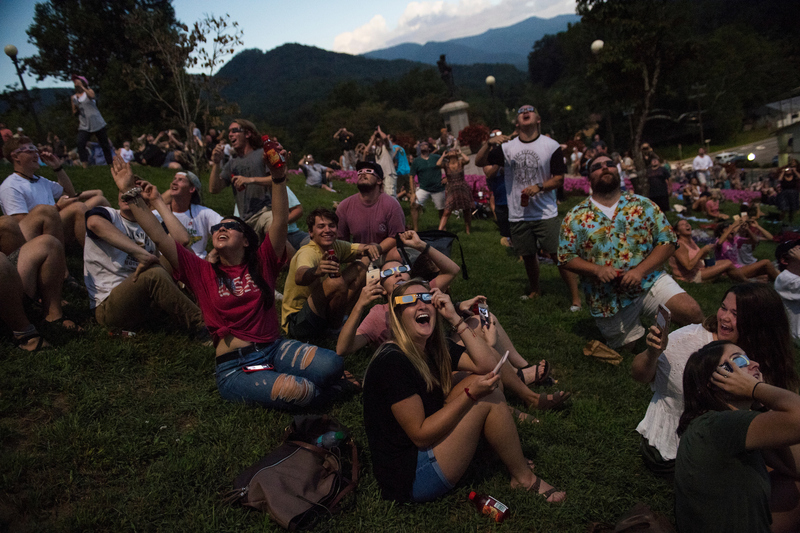 Meanwhile, towns along the path of totality made the event into a celebration. 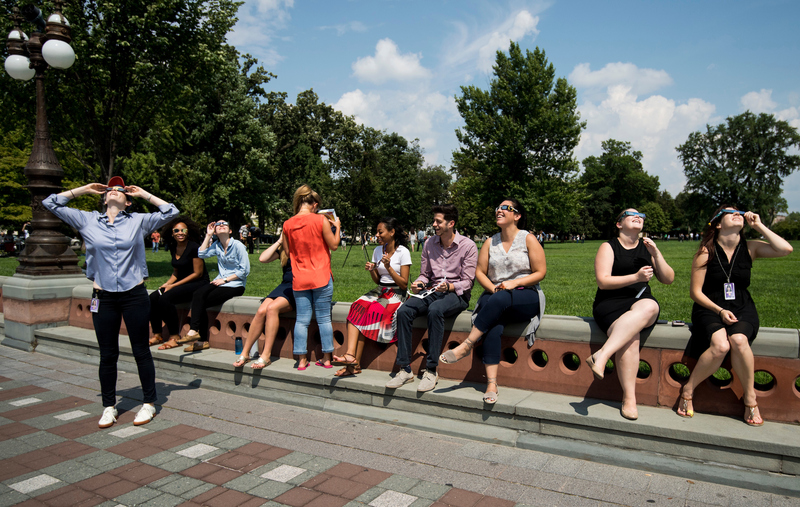 Children and adults went outside to view the sun, and open areas were packed with people in their eclipse glasses.